If you’re looking to throw together some fancy looking canapes in record time before your friends come over for the evening, look no further than these top canape recipes that are all incredibly quick and easy to make! These canapes are perfect for the summer and take minutes to make. Gather together a variety of berries and chop them up as needs be. Cut a baguette into small slices, smother in a cream cheese of your choice and then add a handful of the different chopped berries on top! As the name of the recipe suggests, you need two ingredients for this recipe; cherry tomatoes and goats cheese. Slice the tops off of as many cherry tomatoes as you require and stuff them all with a small spoonful of goat’s cheese. If you want to add some extra flavor to the canape, add some herbs and/or spices to the goat’s cheese beforehand, and then serve! For this canape you’ll need some basil leaves, some cherry tomatoes and some mozzarella (either pre-cubed or ready to be cubed!). You’ll also need some cocktail sticks. Slice the cherry tomatoes in half and then slide them onto the cocktails tick. Fold a basil leaf in half and push this on one end, while pushing a cube of mozzarella on the other end and then serve to your hungry guests! Cut up a few pitta bread into small triangles, trying to get between six and eight triangles out of each bread. In a small bowl, stir up a mixture of oil, basil, pepper, salt, garlic, and parsley and then using a brush, spread this over the pita triangles. Pop the triangles in the oven for around 5-7 minutes and remove when golden brown and crispy! Slice up a baguette (or as many baguettes as is required) and smother in cream cheese. Take a few basil leaves and dice them up before sprinkling them over the cheese. Finally, take a slice of coppa, fold it in half and place on top of the baguette slice before serving straight away. Fancy a cheeky alcoholic beverage while you’re at home, either on your own after a long week at work or while you’re catching up with the girls? Well then, you’re going to need a handful of good cocktail recipes under your belt! Here are some of the best cocktails inspired by the famous Mr Green, that you can make at home. To make a Manhattan cocktail you’ll need to take 1 oz of sweet vermouth, 2 oz of rye whiskey and two dashes of Angostura bitters, or a similar substitute and stir them all up before straining them into a glass and garnishing with a cherry! A cocktail that isn’t often remembered but is very simple to make is a Negroni. To make this cocktail, you will need three drinks; Gin, Campari and Sweet Vermouth. You’ll need 1 oz of each drink, shake in a cocktail mixer with ice for half a minute and then strain into glasses. For a final flourish, you may choose to garnish your drink with some orange peel. You can have a lot of fun customizing Daiquiris, and that’s probably what makes them so popular. For a basic Daiquiri, you will need 2 oz of white rum, 1 oz of lime juice and 0.75oz of syrup. Making the Daiquiri is easy; just pour all of the ingredients into a mixer with some crushed ice and shake well for about thirty seconds before straining into a glass. One of the most classic and most popular cocktails there is is the Gin and Tonic. Take some gin and water and pour as much as you like of each over some ice and then pop a lime wedge on the side of the glass and you’re good to go! Gimlets are so quick and easy to make, and so often they’re forgotten about. You only need two drinks to make a Gimlet; 2oz of either gin or vodka and 0.30oz of lime juice. Pour the drinks into a mixer and shake thoroughly before straining into a glass to be enjoyed there and then. Martinis are quick and easy. Are you like Bond, opting for shaken and not stirred? The choice is yours! To make your Martini, take 2 oz of either gin or vodka (this depends on personal preference) and 1 oz of dry vermouth, mix with some crushed ice in a mixing glass and then stir (or shake, if you prefer!) for about ten seconds. Once this is done, strain into a martini glass and enjoy! When visiting a number of casinos, you’ll find that they all expect you to adhere to their own dress codes. Some will be more laid back about what you wear, while others will have high expectations on how you must look before you enter the casino. However, there’s generally a running theme that people stick with, so here are some general outfit ideas if you’re hitting up a casino. A suit. The obvious option for men is a suit, either a general suit or a formal tuxedo. If you’re opting for a tux, keep it simple; black and white all over with a bow tie. If you’re going for a more casual suit, you might want to experiment with different colors; a navy suit with brown shoes, for example, or perhaps a light pink tie with a black suit and a white shirt. Coordination is key here. Shirt and Chinos. If the casino is a little more laid back, a plain colored shirt without a tie and some chinos or smart trousers may suffice. Keep with the stylish shoes too; absolutely no trainers will be accepted in any kind of casino! Midi dress. A classic midi dress with some elegant straps, or even long sleeves, works well every time. It doesn’t show too much skin but leaves women looking glamorous yet remaining classy- no nightclub outfits allowed in Vegas casinos! Pair with some stiletto heels and statement earrings to complete the look. The Jumpsuit. Something a little bit different to a dress is a jumpsuit. When they’re cut right and fit well, jumpsuits can look very glamorous. Go for black with some metallic heels and statement jewelry, or red, with some white heels and a red lip look that will really wow people! Maxi dress. Long flowing dresses are very popular, but make sure they don’t have too much of a trail, or you’ll be getting in people’s way, which can be irritating! Go for strapless or spaghetti straps for the most glamorous kind of look, and go for plain colors rather than patterns. Floral patterns especially are a bit of a no go! If you’re throwing a Las Vegas themed party, or even if you’re attending one, you’re going to want to look the part. While many movies and TV shows depict Vegas to be full of trashy outsiders stumbling through the desert to the promised land, in actual fact, it couldn’t be more different. Most Vegas casinos adhere to a strict dress code that oozes glamor and sophistication. If you’re attending a glamorous, Vegas-themed party, you should wear the same. Here are some ideas for the boys and the girls! With men, it’s relatively easy. You can only actually wear one thing; a tuxedo. However, there are some things you should consider about your tuxedo. First of all, make sure that it isn’t ill-fitting. A tux can change the way a man is viewed and if you’re in an ill-fitting suit- well, it’s not going to look good on you or for you! Secondly, make sure your shoes match your tux. Don’t wear a black tux with brown shoes or anything disastrous like that. In addition to this, you should opt for shiny shoes that have been cleaned to within an inch of their life, so they look out-of-the-box fresh! The hardest part for men is deciding on a tie or a bow tie. If you’re going for a more casual suit, a long tie is acceptable. However, if you’re wearing a formal tuxedo, always go for a bow tie. Black is the safest color option, but if you’re feeling braver, opt for a color such as dark purple, baby blue or a very light pink. These all look smart while bringing a splash of color to your outfit. Never go for ‘funny’ ties or garish patterns. Women have so many options when it comes to casinos. However, one style rule to adhere to is this; choose your legs or your chest. Don’t go for both! If you’re wearing a short dress that shows off your great pins, pick a Bardot style dress that sits nicely across your shoulders, a halterneck or a high-necked dress. If you’re opting for a dress with a plunging neckline, don’t have it sitting any shorter than your knees. Some great looks include bodycon midi dresses in bold colors such as red, purple and black or flowing fishtail dresses. Accessories are a must for glamming up your Vegas party outfit. Gold can look a little cheap so choose this with caution. Silver connotes luxury and glamor and is naturally the more popular option. Try not to go overboard with the jewelry. If you’re wearing a statement necklace, play down the rings and earrings. If you’re wearing statement rings, play it down on the bracelets and necklace. Shoes should always be heels- always. No exceptions. How high they are is completely up to you, but don’t turn up wearing ballet pumps or flip flops- in a Vegas casino you’d be turned away, so treat it as though you’d be turned away from this party too! Have you got a special occasion coming up that you need to throw a party for? Everyone knows that a themed party is the best kind of party- you get to have fun with costumes, decorations, themed music and food, and let’s not forget the brilliant photo opportunities either! Here are some of the best party theme ideas. Black and White as a party theme is an oldie but goodie. Everyone picks which color they want to wear- black or white- and everything in the venue is black and white too. Sometimes, people choose to use some silver props to stand out, such as candle holders and cutlery. Food can be a little trickier for this theme, but as a classic and elegant dress code, the food should match. Think canapes and cocktails! A Great Gatsby themed party (or a 1920’s themed party if you want to make the theme a little more broad) is always a lot of fun! There are some great music options of course, with a selection of 20’s music or even the soundtrack from the Great Gatsby movies. Girls will have a lot of fun dressing up in fancy frocks while men can look a little more dapper than usual in a suit and tie! A Las Vegas-themed, casino-style party never fails to make for a good evening! The dress code for a party with this theme must be pretty strict- girls must go all out to look glam and men must be in tuxedos! There are brilliant entertainment opportunities, from live music to all the various casino games you can set up. You can also get creative when it comes to the food. Finger food is a must, but there are some great ways you can adapt basic canapes to a casino theme, such as roulette wheel mini pizzas! A more unique kind of theme is an alphabet theme! This can be done in a few different ways; people can either take the first letter of their first name and dress up as something that begins with this letter (a lady called Becky could be a ballerina) or you can assign people letters with their invites! Your party soundtrack should include a range of artists in alphabetical order, starting with the Adeles and the A-Ha’s and ending up with the Zutons and Zayn Malik. Release your inner child by hosting a Disney themed party! Again, this can be done in one of two ways- assign people certain characters/films to choose characters from on their invites, or let them decide for themselves! However, if you let them decide, there may be some character clashes! Each area of your party venue can be dedicated to a different Disney movie, there’s plenty of Disney soundtracks to play for your guests and why not get a game of pin the tail on Simba going? 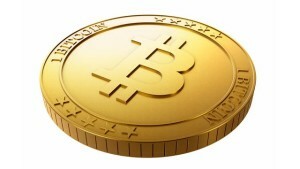 Bitcoin is commonly referred to as a crypto currency. This puts it in a category with several other projects that are attempting to achieve similar goals. The basic idea is to use cryptography, or what basically amounts to very complicated mathematics, to allow people to control the use of their funds. This makes it possible for someone to maintain control of their share without having to rely on putting their name on an account or having some kind of centralized authority keeping track of what they owe. When it comes to other situations, though, you should keep in mind that what counts as a currency can be difficult to untangle. One of the largest problems with traditional currency is its reliance on the health of the government which produces it. Civil wars, recessions and political upheavals can reduce the power of any type of money. The value can change multiple times a day and dealing with exchange rates in an international marketplace makes it even more confusing and frustrating. Online casinos have not always had the best reputations. Many gamers have felt a little ill at ease using their banking information for online casino gaming. 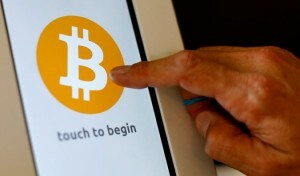 Thanks to new digital currency there’s no longer a need to use sensitive information online. Digital currency has safe, secure, and anonymous options that allow users to deposit or withdraw their funds online. Online casinos such a Vera John now accept BitCoins as payment and allow users to withdraw funds directly to their BitCoin wallet. This makes it safer, more secure, and more convenient than ever to play hot casino games online.